Each year, about 8 million healthcare workers have positions with the potential for exposure to hazardous drugs during the preparation and administration of anticancer treatments. The National Institute for Occupational Safety and Health (NIOSH) maintains a list of hazardous drugs. The general duty clause under the Occupational Safety and Health Act, as well as the hazard communication standard and standards for some specific substances apply in health care workplaces. The ASCO panel said best practices should include medical surveillance of workers following acute exposures, such as spills. However, the group could find no data in its medical literature review on either the benefit or harm caused by medical surveillance. The panel will continue to monitor the literature for studies establishing a link between health outcomes and biological monitoring and medical screening. While the panel did find published literature on CSTDs, it concluded the data in the published studies was either of poor quality or subject to bias. It also noted that there are no protocols for evaluating the performance of CSTDs. The group encouraged NIOSH to develop a certification process for evaluating effective CSTDs. The group also turned up no evidence to establish a standard for engineering controls for C-SECs and C-CSAs. 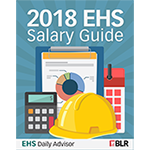 It encouraged healthcare employers to evaluate their engineering controls and incorporate external ventilation if it has not already been implemented. The USP 800 standard, which some states have officially adopted, requires external ventilation of C-SECs and C-CSAs. The ASCO expert panel also endorsed the practice of offering alternative work duties for workers who are pregnant, breastfeeding, or trying to conceive. It said that employees and employers share responsibility for reviewing and choosing alternative work arrangements. The expert panel seeks to develop a set of standards that can be applied in diverse workplace settings. The panel is made up of nurses, pharmacists, physicians, and researchers with day-to-day experience in a variety of oncology treatment centers in both free-standing clinics and hospitals in rural, suburban, and urban regions.